Given it's been over a month since this milestone it almost seems silly posting about it here, but for some reason I never got around to doing it. I blame the current financial crisis and several weeks of bad hair days. Yeah, that works. 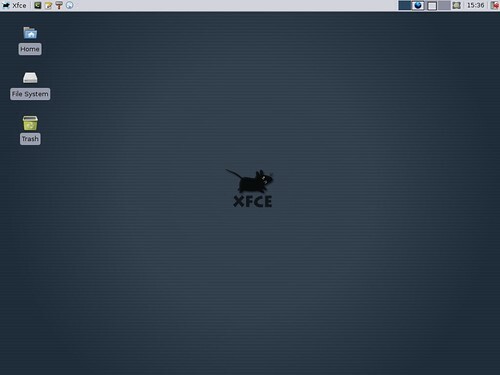 If you're as avid a user as me of Xfce, the latest 4.6 release which I blogged about back in March has been updated to 4.6.1. There have been quite a substantial list of improvements and additions including more comprehensive I18n support and many bug fixes. Now if you speak Polish, Japanese, Galician, Portuguese, Norwegian and/or Spanish, you don't have an excuse any more to try this beautiful piece of software! If you're a FreeBSD user like me, you can access 4.6.1 from the ports collection. Thanks go out as always to Olivier Fourdan and the team for their tireless effort on this project. Show 'em how it's done guys :). Newer post ← The leadership skills of W Bush. Wait, what?